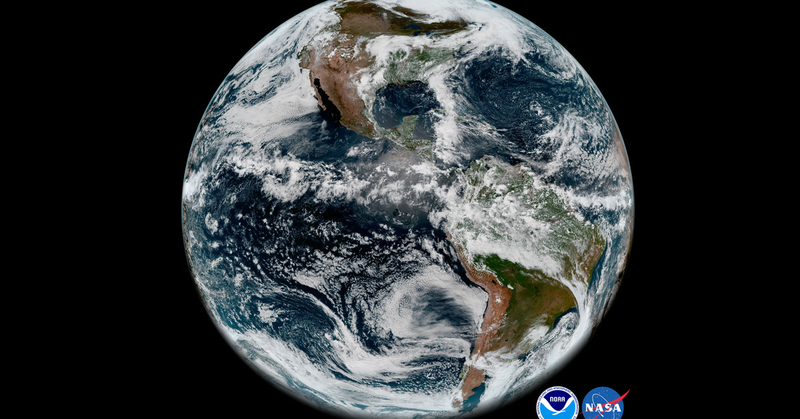 Almost three months after launch into space, the latest weather satellite of the US National Oceanic and Atmospheric Administration (NOAA), GOES-17, sent us its first official images of our planet. The incredible views recorded on May 20 and released today were taken when the satellite had some problems with one of its instruments. GOES-17 went to work with GOES-16, another NOAA weather satellite The two probes that are part of the so-called GOES-R series can scan most of the western hemisphere from the African coast to New Zealand. Their observations of 22,300 miles (nearly 36,000 kilometers) above the earth are the key to monitoring hurricanes, droughts, forest fires, light and fog. The two spacecraft also give us a breathtaking view of our planet. 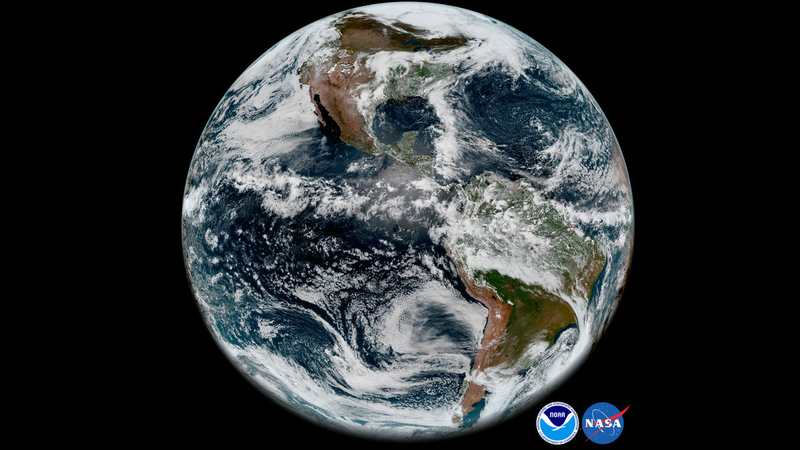 The latest snapshots of the Western Hemisphere were taken by a GOES-17 instrument called the Advanced Baseline Imager (ABI), the scans the planet in 16 spectral regions, including visible, infrared, and near-infrared channels. All of these bands allow scientists to observe the motion and temperature of different cloud types deeper than previous satellites, leading to better weather forecasts. However, the ABI on GOES-17 has some problems. The cooling system is not working properly. This is a problem because the ABI's infrared channel detectors need to be "cooled to fully capture the incoming infrared radiation from Earth," says Jordan Gerth, a research meteorologist at the Cooperative Institute for Meteorological Satellite Studies at the University of Wisconsin to The Verge . Infrared radiation is needed to detect clouds at night when sunlight is not reflected off the clouds and reflected back into space. But when the ABI detectors are heating, "there is a significant deterioration in the quality of the images," says Gerth. Experts from NOAA and NASA and others in the industry are trying to solve the problem, which concerns 13 of the spectral bands. Today's photos show that despite the cooling system problem, the ABI can offer amazing prospects for the Western Hemisphere. Images were taken using two visible and one near-infrared channels, which are not affected by the malfunction of the cooling system. An infrared band included in the photos is only "functional during part of the day," NOAA said in a press release. Gerth says other test images were taken by GOES-17, "but they were taken before the necessary calibration could occur." In some images, the entire hard drive was not lit. " The satellite is still in the testing phase and will be operational only at the end of 2018. If the cooling system can not be repaired, the team will "look up" for alternative concepts and different modes to maximize the operational benefits of this ABI, "said Stephen Volz, Deputy Administrator for NOAA's Satellite and Information Services, during a meeting Press conference last week. In the meantime, hopefully we will get more photos of Planet Earth in all its glory.